Book, and Badge with Download. 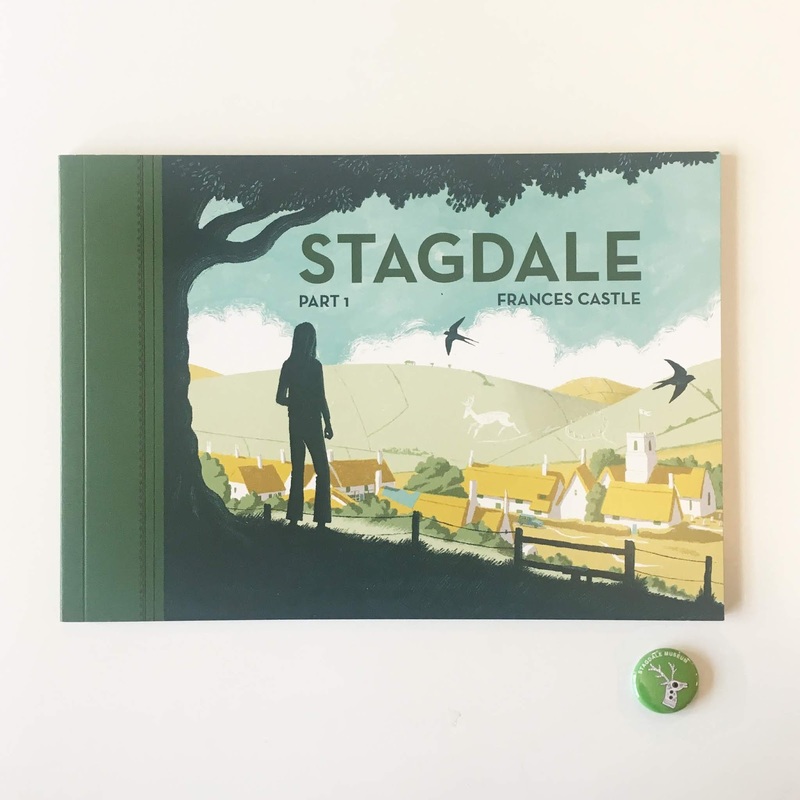 Stagdale is a graphic short story and three track download EP by Clay Pipe founder Frances Castle and her musical alter ego The Hardy Tree. Three tracks of Moog based electronics soundtrack the first part of this 1970s pastoral childhood adventure. It’s the summer of 1975 and despite the addition of a new housing estate the ancient village of Stagdale remains an insular place, suspicious of change. Nestled into the chalk-scared valley lies Stagdale Manor, home to Lord Ethelbert, a self-proclaimed descendant of a Saxon King. Once grand, the estate is slowly slipping into a state of dilapidation. 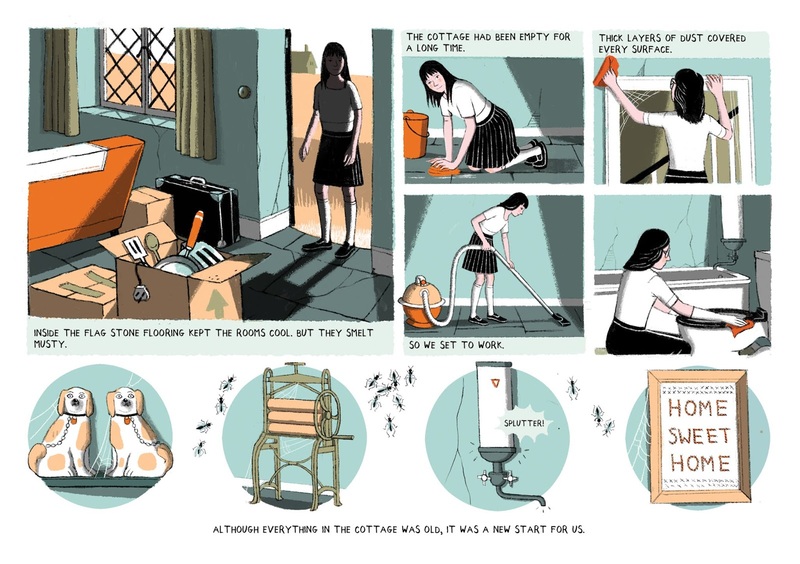 Hoping to find a new life for themselves, 12-year-old Kathy and her recently divorced mother rent an old damp cottage from Lord Ethelbert on the outskirts of the village. It’s not long before Kathy befriends local boy Joe who enjoys telling her stories about village life, both past and present. He takes her to the museum and shows her the empty glass case where the Stag Jewel, a Saxon gold amulet in the shape of a deer’s head, used to be displayed. The jewel was thought to have once brought Stagdale prosperity and luck, but according to local legend it was stolen by a German boy who lived in Kathy’s house during World War Two. 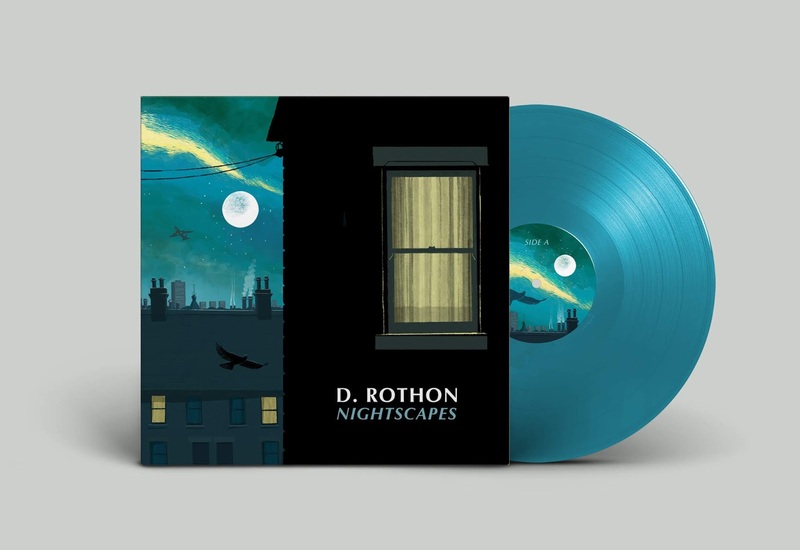 Second edtion of D Rothons Nightscapes. Dusk blue vinyl, with a different 'abstract' label to the first pressing. Giclée Fine Art Prints on 320gsm Hahnemühle Photo Rag Pearl (satin/gloss) paper. Instant download of the album. 20 signed and numbered copies. D Rothon and Gilroy Mere live. Available on Spotify and itunes. 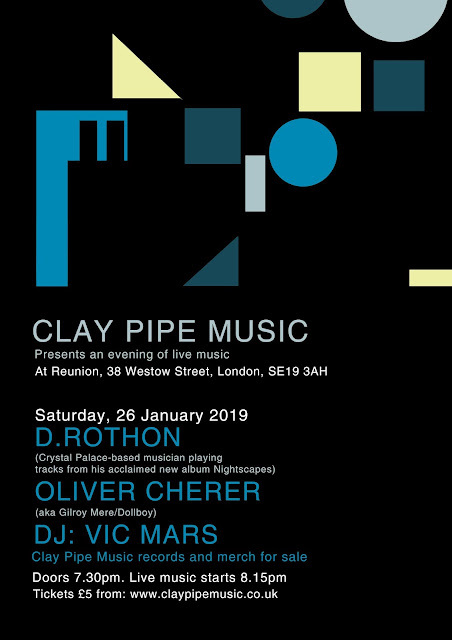 David Rothon is a musician from south London who has been involved in a variety of musical activities over the years, from garage bands to experimental spoken-word projects. 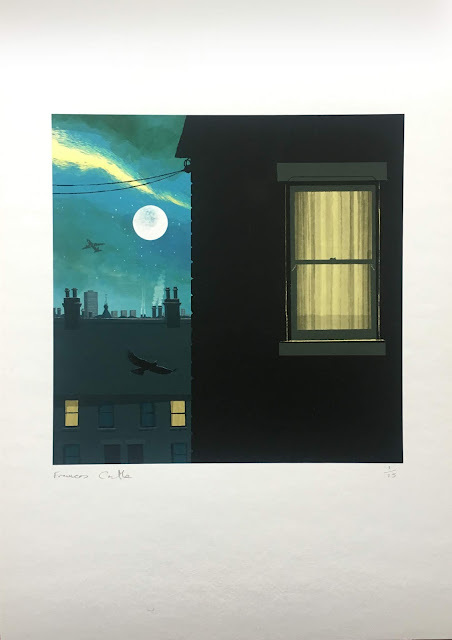 These include a collaboration with Ian Masters (Pale Saints) as Sore & Steal and, more recently, Cloudier Skies with performer/chanteuse Claudia Barton, which was championed by Radio 3’sLate Junction. 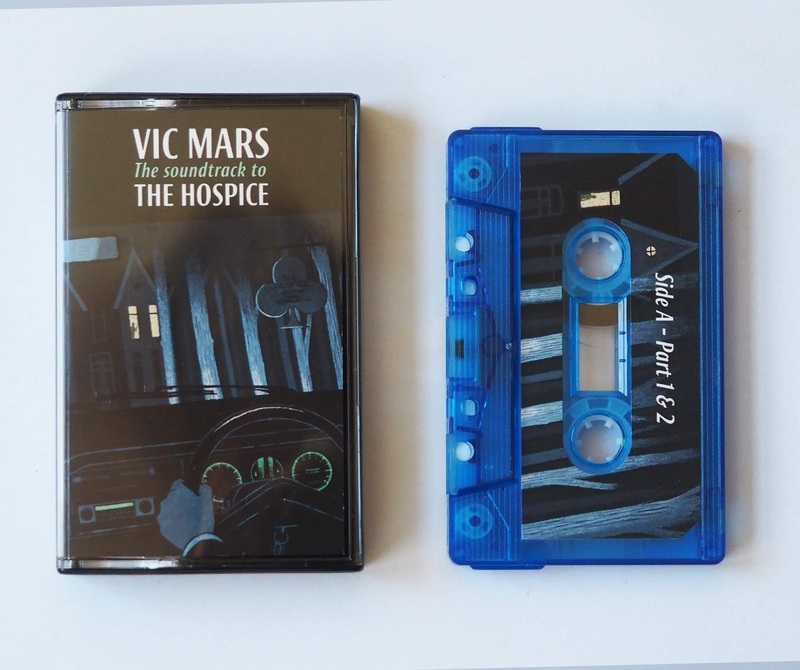 Now available final dubbing of Vic Mars The Soundtrack to The Hospice. 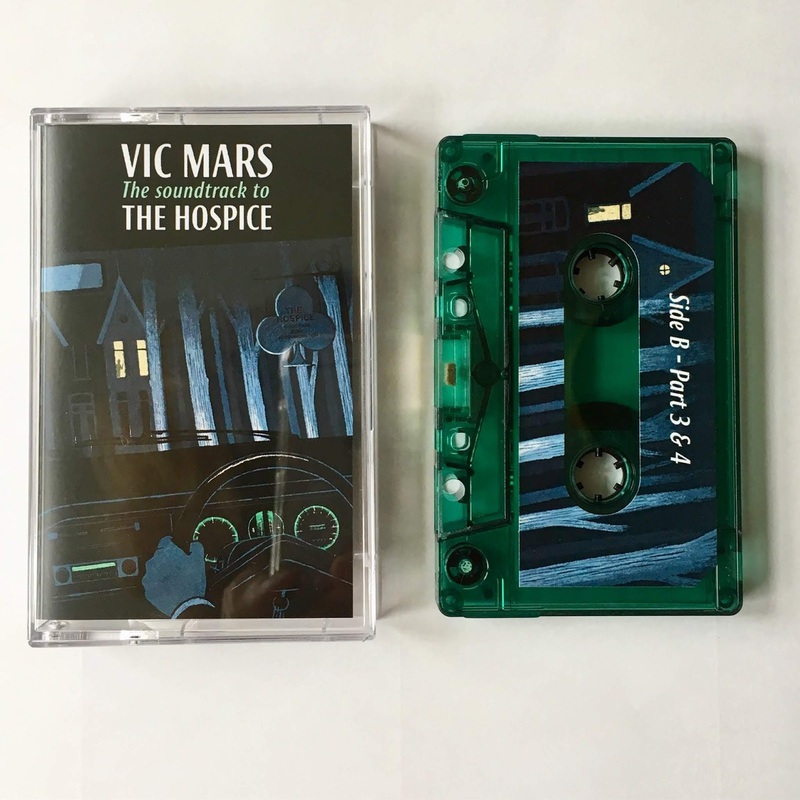 You can download directly from Vic Mar's Bandcamp. 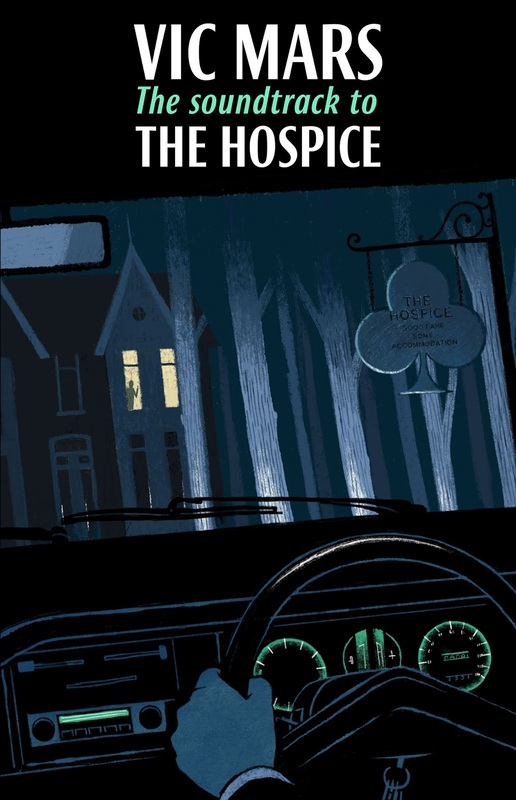 In 2016, BBC6 Music commissioned Vic Mars to create a soundtrack to Robert Aickmans 'The Hospice'. The story was read by Gideon Coe, and broadcast on his evening show at Christmas that year. It was later broadcast on Radio 4 in an Omnibus edition. The music has never been released on any format before. 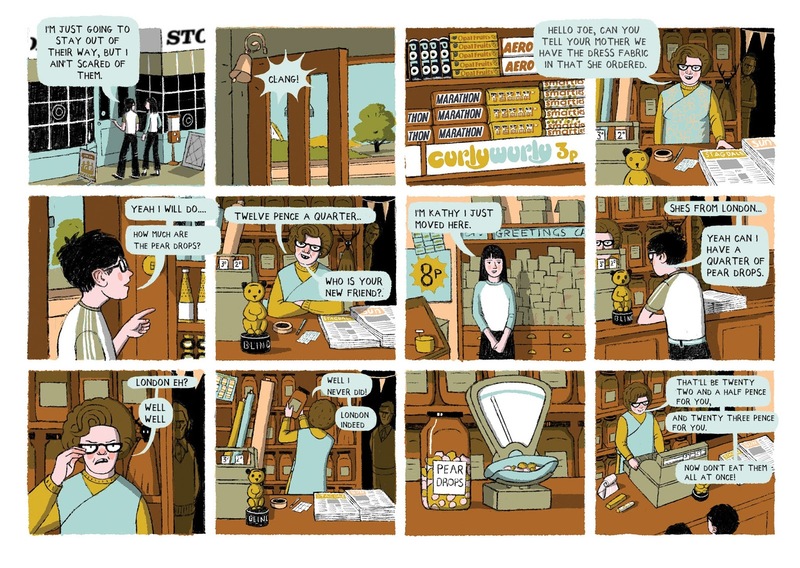 Thanks to Gideon Coe and Henry Lopez-Real and Antony Ryan. Limited to 100 copies, on transparent blue cassette. Please sign up to the mailing list to hear first. 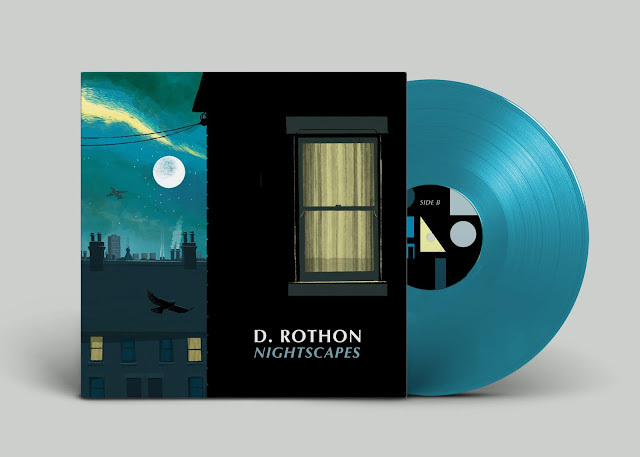 Coming this December on vinyl is Nightscapes by D. Rothon. 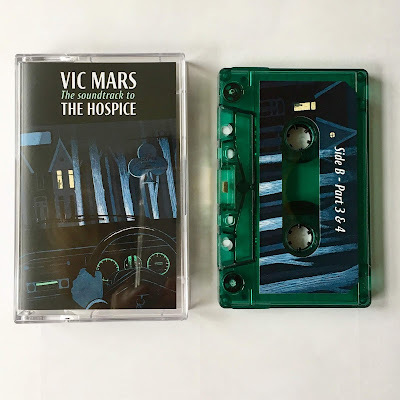 A beautiful multi-instrumental album that evokes impressions and emotions triggered by the hours between dusk and dawn: recurring dreams; imagined scenarios; heightened feelings of nostalgia, anxiety and hope. Sign up to the mailing list and follow on Instagram, Twitter and Facebook to keep up to date with all the news. Plinth - Music For Smalls Lighthouse. 500 numbered copies with download code. 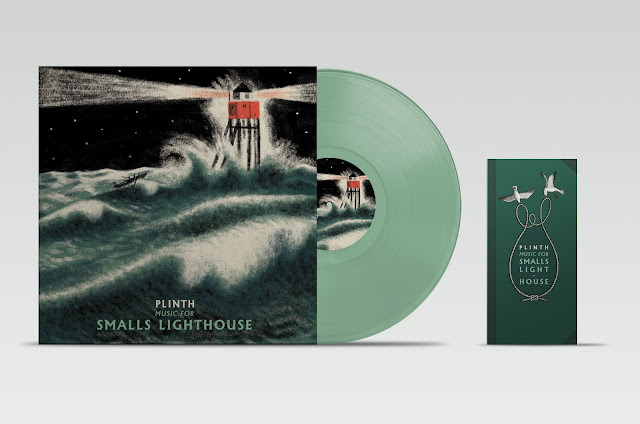 With the five year anniversary of its first release on Clay Pipe approaching and the original fetching high prices online, it seemed like the right time to make more copies of Plinth’s Music For Smalls Lighthouse available. Repressed on transparent sea-foam green vinyl, it includes a booklet that tells the story of Smalls Lighthouse, a download of the LP and the bonus mini album 'Flotsam' - that was included with the initial CD release on Second Language. Plinth's, Michael Tanner from Lewes in Sussex has recorded under a myriad collection of names and guises these include Cloisters, Taskerlands, Thalassing, part of the duo The A Lords - on Mark Fry's 'I Lived in Trees', and with Irish improvisers the United Bible Studies. Smalls Lighthouse, is located approximately 20 miles west of St Davids Peninsula in Pembrokeshire Wales. Engineered by a violin-maker and standing on flat rocks battered by the sea, the original lighthouse resembled a squat hut on giant stilts. In the year 1800 two men Thomas Howell and Thomas Griffin, well known locally for their drunken spats and quarrels, boarded a fishing-vessel to spend six months together as lighthouse keepers on Smalls Rock. During this time Griffith was killed in an accident and Howell was left alone to fend for himself struggling to stay sane in the isolation of the lighthouse. The music on this record soundtracks the events that took place with beautiful and often gruesome clarity. 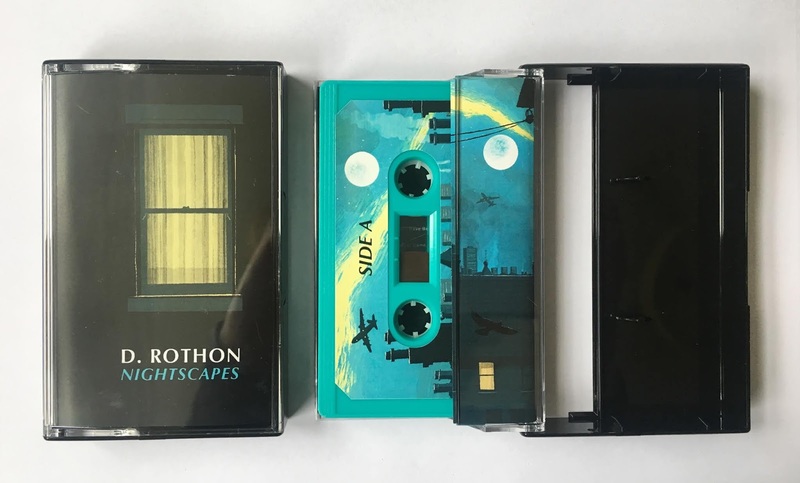 A murky neo-classical album, Music For Smalls Lighthouse plays like a salt-soaked requiem, perfectly capturing the inevitable breakdown when you’re alone with a body 20 miles off Wales. What makes Music for Smalls Lighthouse so special?.. the composition is tender, the playing exquisite; and there's little else to which it can be compared. Plinth - Sirens (excerpt) from michael tanner on Vimeo.